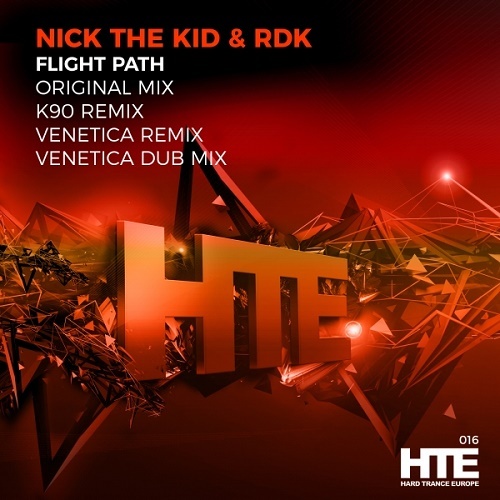 Having already forged collaborations on labels such as Discover and Critical Uprising, Nick The Kid & RDK lock horns once again in the hardware driven Big Jam Studios to create another hard trance onslaught. This time fusing haunting ethnic vocals, driving acid and soaring riffs to create extreme euphoria wherever played. We honourably welcome a pillar and true champion of the hard trance scene here in the UK, as K90 takes the remix reigns to deliver a truly dynamic and electric rework that takes the original into new territory, Euro leads, clean / driving percussion and that trademark K90 vibe prove very reminiscent of his work on Urban Anthems, which is of course a bible for us all. Venetica makes a very impressive debut on HTE, taking time out of his vastly busy schedule which see's an album in the pipeline and a release schedule to make your eyes water. Coming in Dub & Vocal mixes that tick all the right boxes for fans of more mainstream and uplifting trance, thus rounding off this bumper release for 2018! Enjoy!